Few jazz artists have been as musically omnivorous—and dazzlingly accomplished—as the Cuban-born alto saxophone and clarinet virtuoso Paquito D’Rivera. 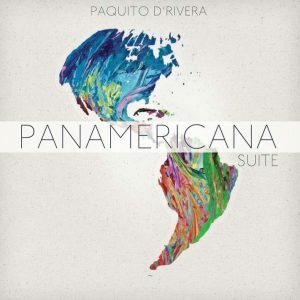 Equally at home performing bebop, tango, and classical as well as Afro-Cuban styles, D’Rivera displays his mastery of many genres on his new CD, Panamericana Suite. A stunning cultural synthesis encompassing North, Central, and South America leavened with a Caribbean rhythmic sensibility, the project reflects D’Rivera’s embracing musical vision. The new CD boasts an all-star international cast, with Pedro Martinez (batas, timbales, vocals), Pernell Saturnino (percussion), Oscar Stagnaro (bass), and Mark Walker (drums) comprising the supple rhythm section. Also featured in the Panamericana Orchestra are pianist Alon Yavnai; Dana Leong on trombone and cello; Hector del Curto, bandoneon; Andy Narell on steel pans; Dave Samuels, vibraphone and marimba; trumpeter Diego Urcola; the Colombian harpist Edmar Castaneda; and the Puerto Rican lyric soprano Brenda Feliciano.